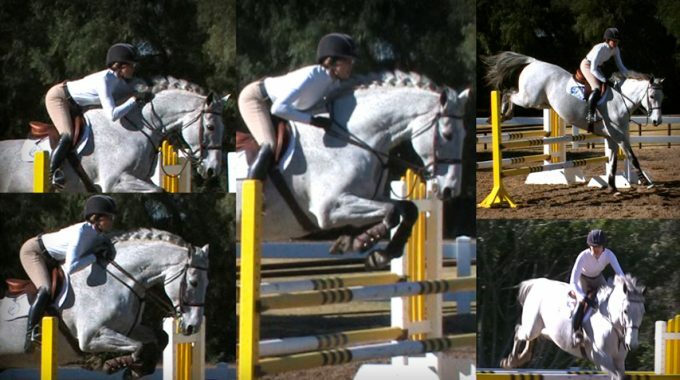 My horse, a 7-year-old RPSI warmblood by Der Graf and out of a TB mare, is extremely athletic. He is about at the intermediate level (based off your flatwork videos). 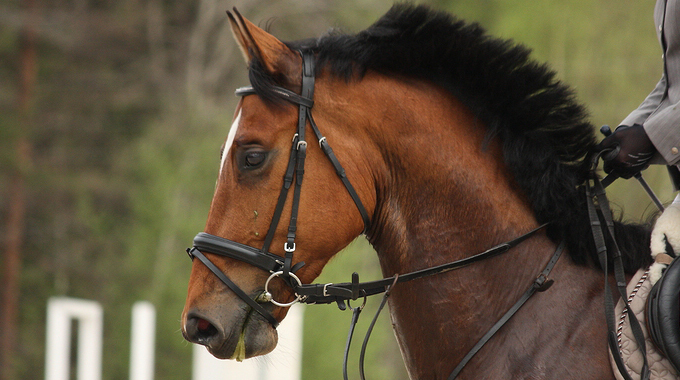 He can walk, trot, canter, has shoulder-ins, leg yields, counter-canter, etc. We have been working diligently on the forward and back and transitions (ie. halt, back up, etc.). I have religiously watched all of your videos over and over again, and practice them diligently. My horse is very quirky, mentally—he can be extremely funny in the mouth. When I first started him under saddle he’d stick his tongue out the side, he chomps on the bit often, and gets strong and goes behind the vertical so there is no lifting him. 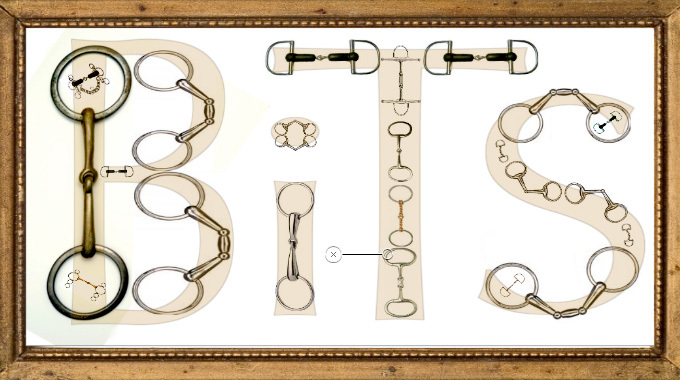 After watching your bitting video, I switched his bit from a slow twist to a French link snaffle. He is WAY better in the French link, doesn’t chomp on the bit, bends better, is soft, and doesn’t tuck behind the vertical at the walk and trot. His transitions are great in the walk/trot, he is a little strong at the canter but still “manageable.” When we start jumping he gets stronger, he often brings his head into rollkur position, and I cannot do the nip up as it doesn’t affect him. On the back side of the jumps he gets playful and bucky and it’s really hard to lift his head up or slow him down as it feels I don’t have enough bit. So my question is, I guess, do you suggest I just stick with it and be patient and keep him in the French link as he seems to prefer that? 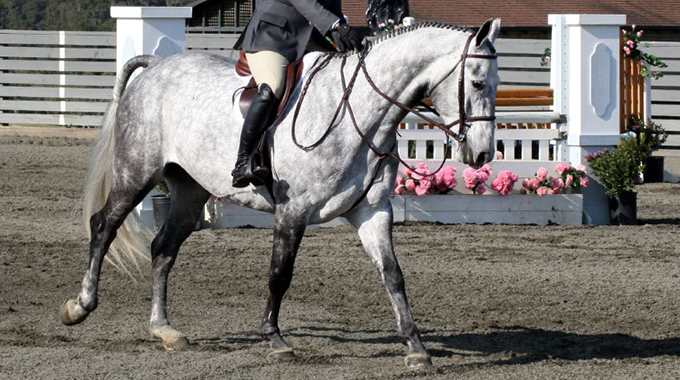 Or do I switch him to a stronger bit because I have no control even over tiny cavaletti? He has his teeth done regularly by a very very good dentist, he sees a chiropractor regularly, gets massages, has been vet checked, and is in a CWD 2Gs with a pro panel that was custom fit to him. 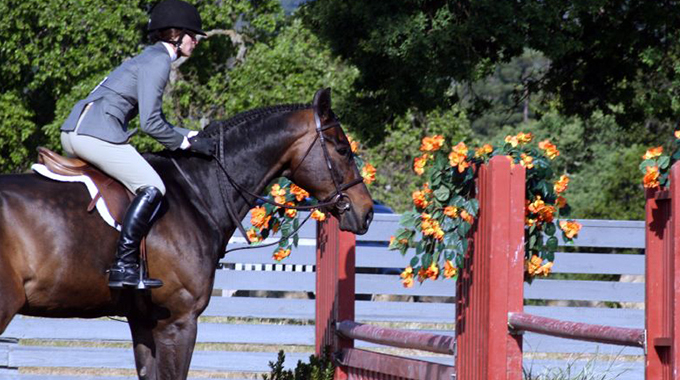 It seems you have done a lot of things right for your horse’s issues. Every horse’s mouth is different and, as you have found out by experimenting with a french link, your horse has responded better than in his previous bit. It sounds like he is much better and more trainable on the flat in the french link snaffle but issues come up when jumping, even doing cavaletti work. Jumping seems to “light up his brain” which comes out in his mouth. A common problem. There isn’t a day that goes by that I don’t incorporate one or many poles on the ground to trot and canter over in my flatwork. I would defuse him over a single pole prior to a series of trot poles and, at the same time, cantering over poles. Lots of downward transitions, halts, backing, etc. combined with the poles. If you find he is still too strong, then you need to experiment on stepping up a notch to a bit that gives you more control when jumping. If he likes the french link look for a slow twist french link but make sure the edges are not sharp, as anything painful will only make things worse. This may take you several attempts to get the right bit. Don’t give up on the bit you are using, but first enhance the schooling over poles on a daily basis and see if he responds. His ducking his head behind the vertical when jumping is caused by his pulling harder against your hand. That has to be dealt with by transitions downward promptly anytime he gets strong. Not rough, just prompt and consistent. 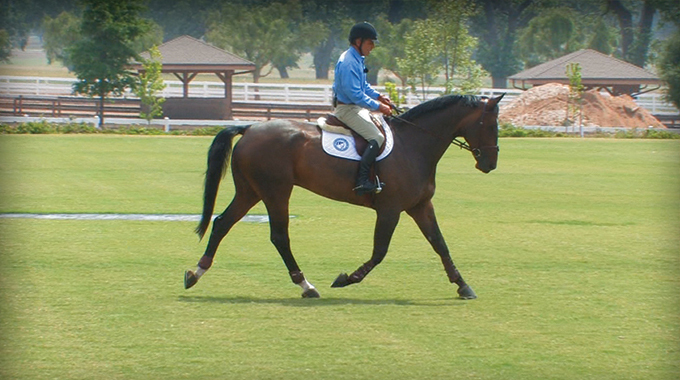 It takes effort on the riders part and a secure base (lower leg position) to be effective. 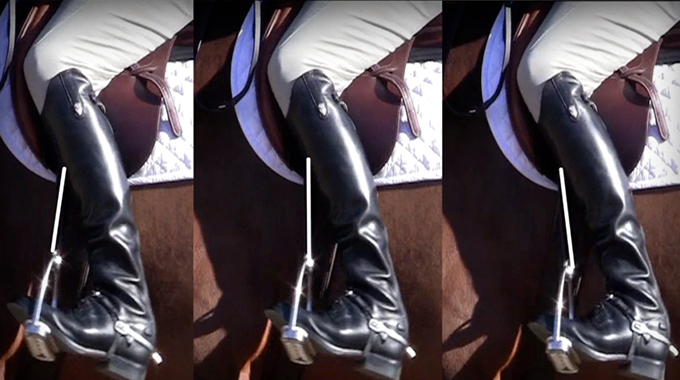 Watch my topic “Range of Motion” for tips on lower leg position and security on a strong horse for strength in the tack during downward transitions. Combine all this daily with poles and see if he doesn’t get better and better. Take a ride with Bernie as he schools “Archie Bunker” and talks you through how he incorporates his flat techniques over small fences.